A woman keeping cool control of her horse. I was surprised to find a lot more women riding than I expected. Many of them were young, and stylishly dressed. This is Medellin after all. 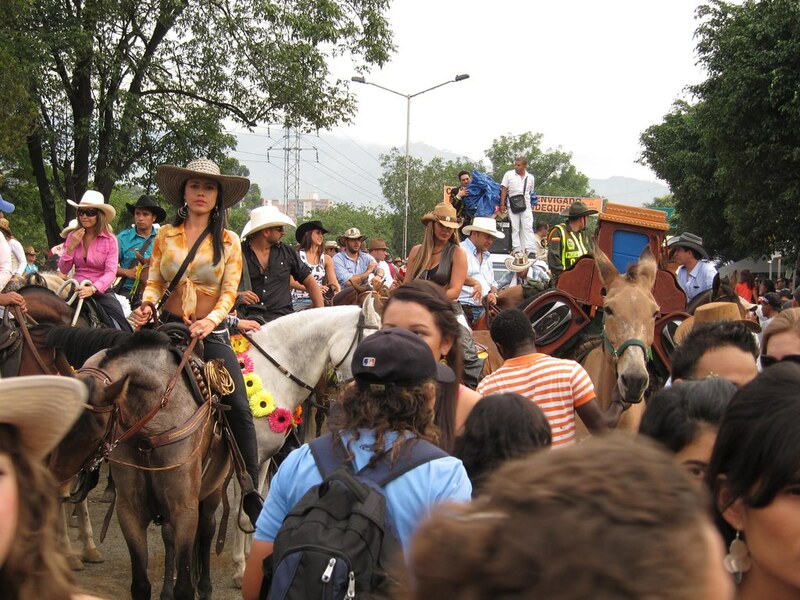 The day after fireworks kicked off the 2010 Feria de las Flores (Flower Festival) in Medellin, I met up with Lily, a Colombian friend, for La Cabalgata (horse parade). 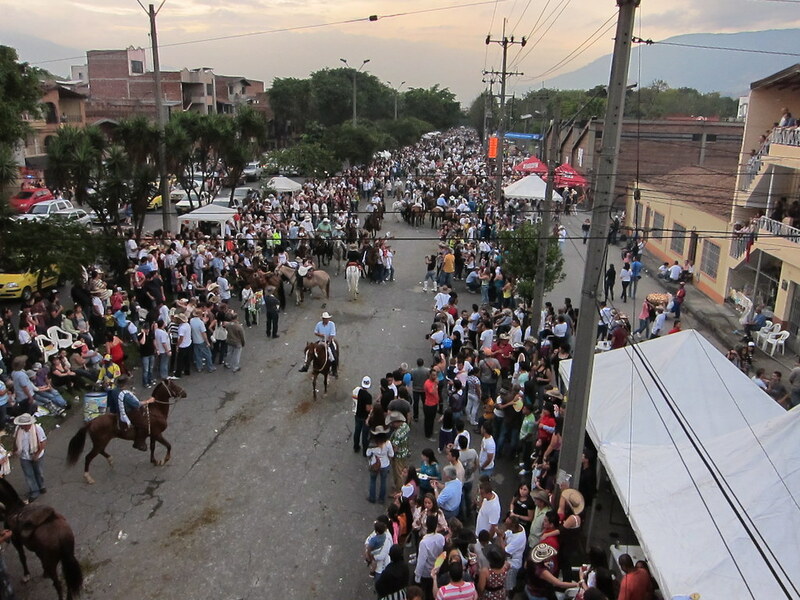 Imagine 6,000 horses trotting through your city, the streets lined with onlookers drinking, eating, and cheering them on. Don't imagine the smell of all that horse crap after a few hours; it stinks to say the least, and there's a good chance you'll be walking over it at some point, so if you are lucky enough to attend, do not wear sandals. Despite multiple advanced warnings by Lily, I was so busy taking photos that I missed the pickpocket swiping my BlackBerry Curve 8900 from my front jean pocket. It was an expensive lesson to learn, and put a damper on the end of my first Cabalgata experience. On the bright side, I still had my camera. 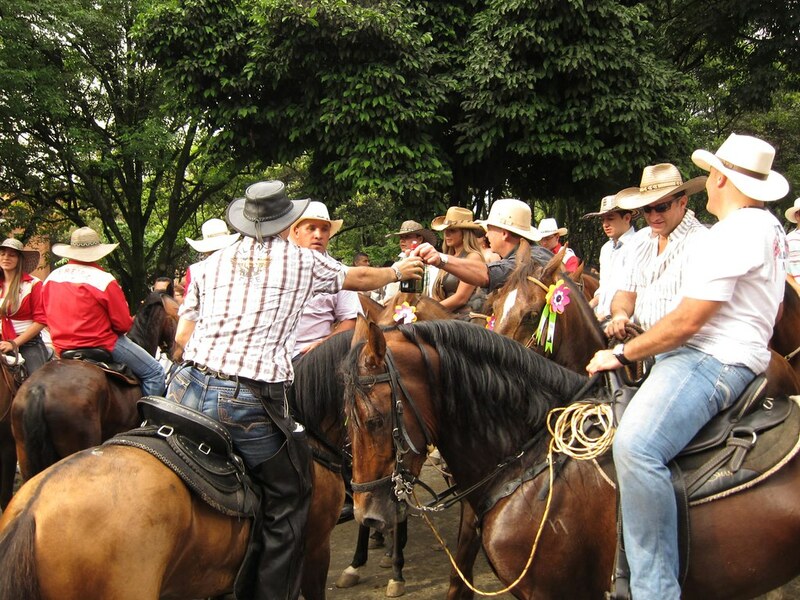 Riders, both men and women, passed around bottles of liquor to drink during the parade. Police on horseback were in the mix to keep the event under control. The parade route was congested with a mix of horses, people, and trucks. 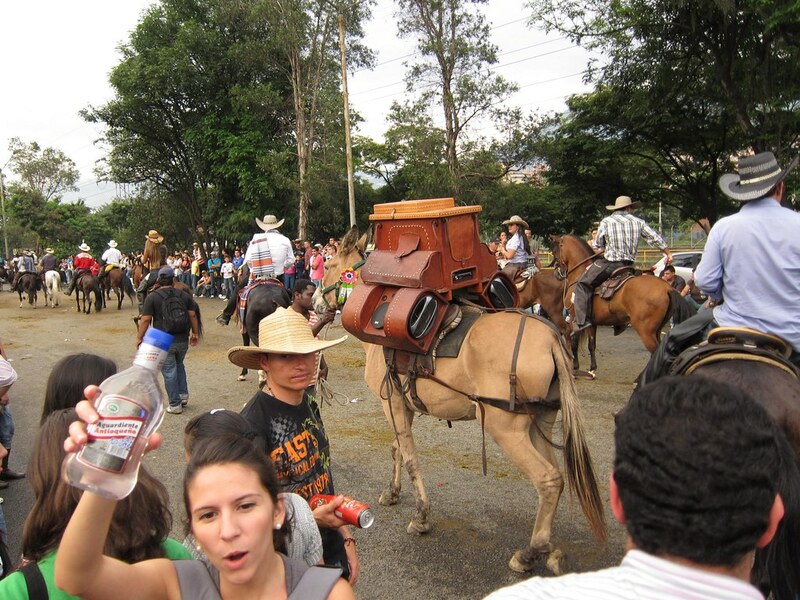 A woman holds up a bottle of Aguardiente (the local firewater), while a donkey carries custom speakers blasting vallenato music. 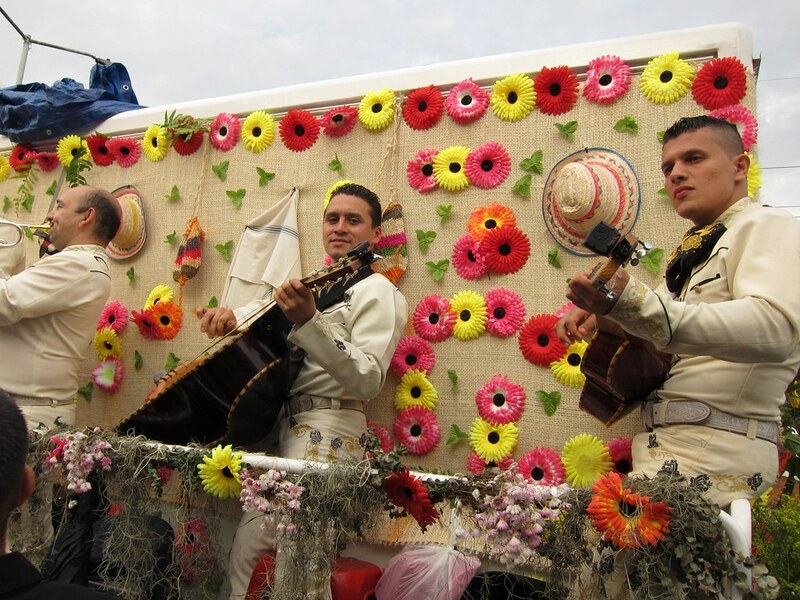 The mariachi band rolling along on a converted pick-up truck was a crowd favorite. A pickpocketer's paradise. 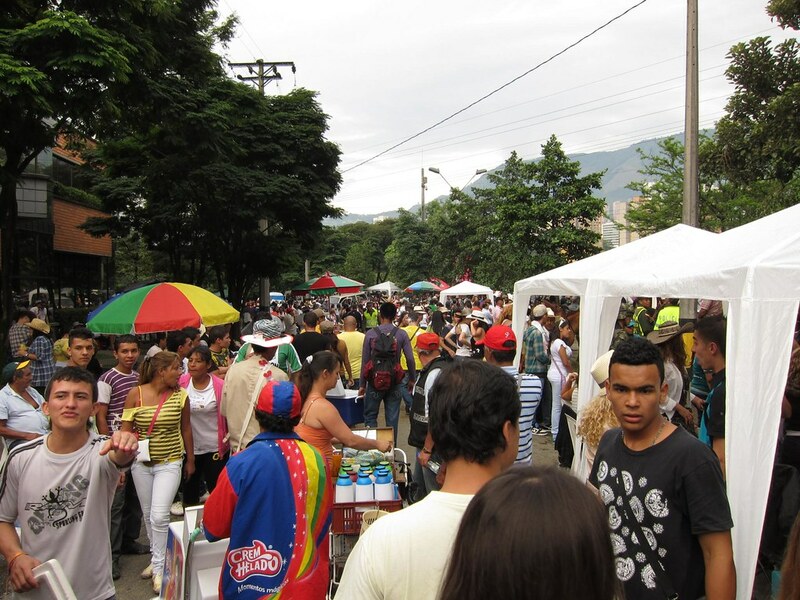 Industrious Colombians and regular street vendors sold everything from coffee, ice cream, beer, and liquor to packs of gum. 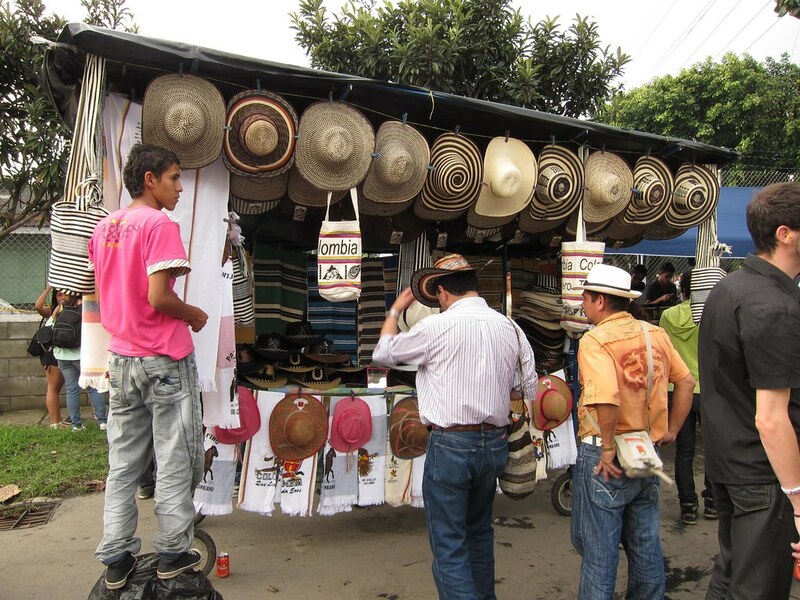 Traditional hats such as these are more commonly seen in the countryside (vs. the large cities). 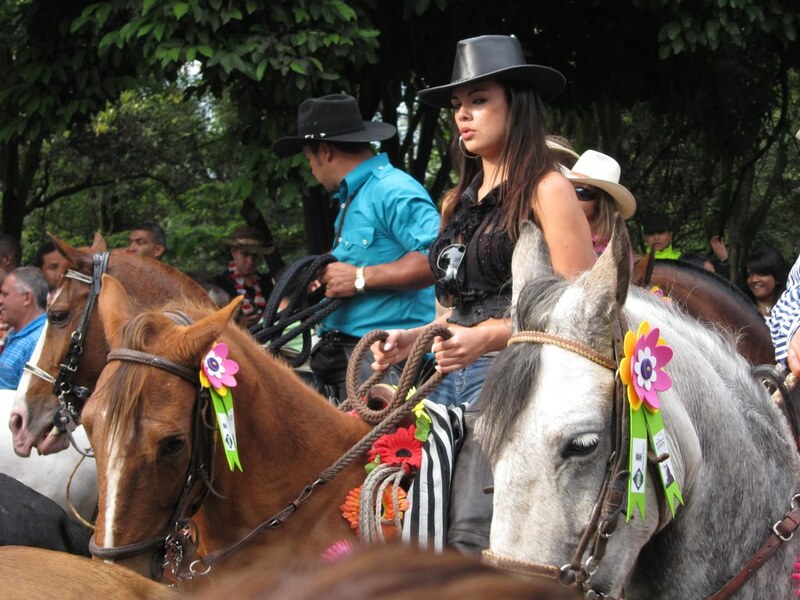 To celebrate La Feria de las Flores, many more people were wearing them then normal. 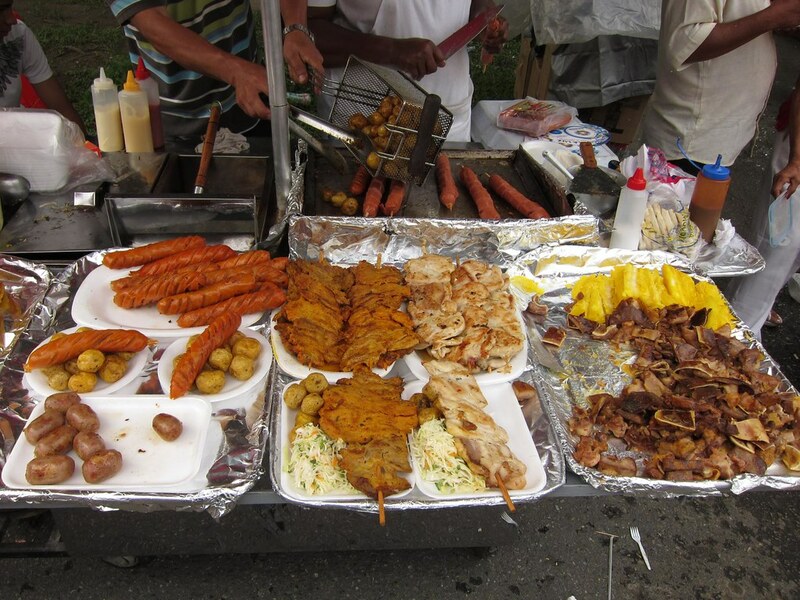 Typical Colombian street food: chicken, chorizo, potatoes, and (possibly) crispy pig ears to the right. Tents were set up by families and friends along the parade route. 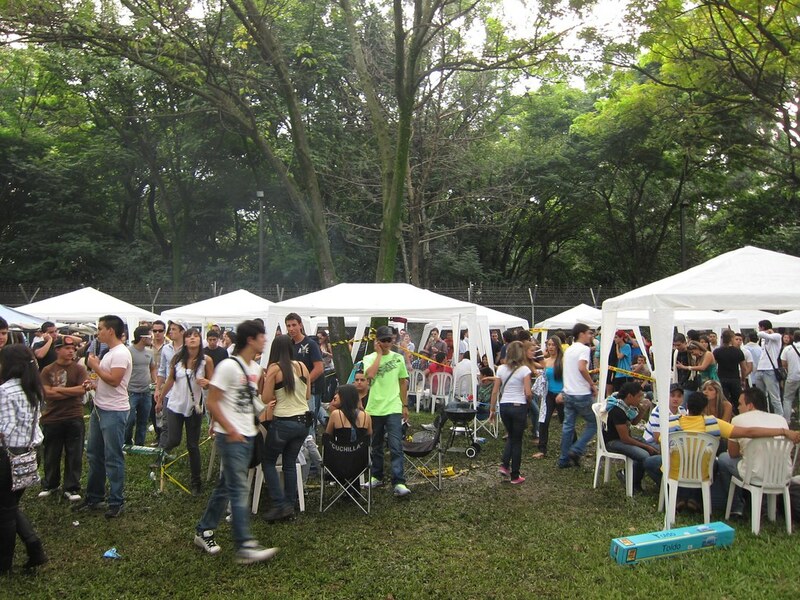 Food was grilled, alcohol was consumed, and there were even a few tents with DJ's and people dancing. The parade winds down at sunset. Ay dios mio, que fiesta!!! I looooove aguardiente.